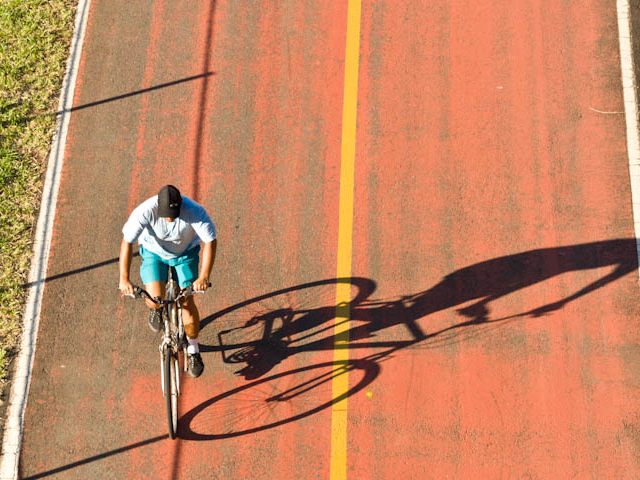 According to a recent poll, residents of São Paulo are increasingly satisfied transport in their city, mainly due to new bike paths and a reduction in the average waiting time for city buses. Photo by Rafael Taminato Hirata/Flickr. Are you satisfied with the quality of life in your city? In São Paulo, overall perceptions of quality of life increased over the past year for one-third of the population, and remained stable for half according to the city’s Municipal Well-Being Indicators (IRBEM) survey. First conducted in 2010, the IRBEM survey is organized by Rede Nossa São Paulo and the São Paulo Federation of Trade, Goods, Services, and Tourism (FecomericoSP). The poll uses qualitative data to assess overall well-being and quality of life in São Paulo. Published on January 22, 2015, this year’s poll surveyed 1,512 people about 25 different aspects of city life, such as health, education, environment, housing, labor, and transport. The 2015 edition of IRBEM reports that – while there remains significant room for improvement – the largest gains in perceived quality of life came from the transport sector. Although respondents continued to be “greatly dissatisfied” with some components of the city’s transport system, almost all areas concerning urban transport showed moderate increases in satisfaction. Two of the main factors responsible for this improvement are the recent increase in city bike paths and the reduction in bus wait times – modes of transport used by 68% of respondents on a daily basis. 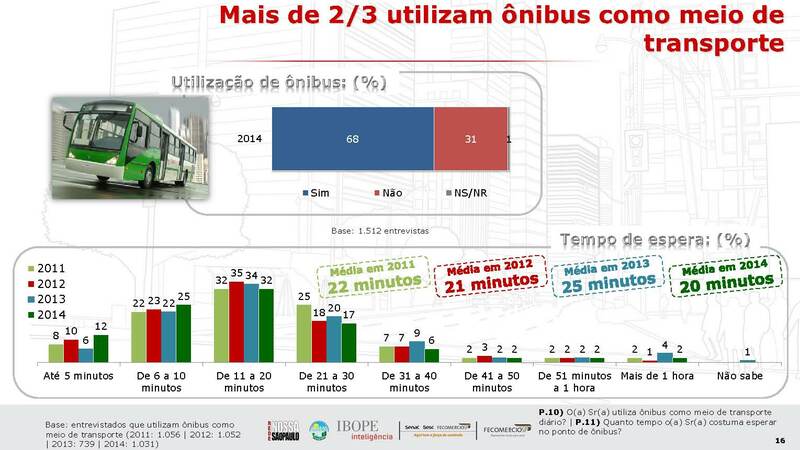 More than two-thirds of IRBEM 2015 respondents use city buses as their main mode of transport. The median wait time for buses fell to 20 minutes in 2014, the lowest since the inception of the survey. Graphic via IRBEM 2015. The “Traffic and Transport” section of the survey saw increased levels of satisfaction in nearly all categories. These include the number and quality of bike paths, transport fares, traffic congestion, travel time, pedestrian safety, sidewalk quality, traffic safety, bus reliability, and waiting time. The IRBEM 2015 revealed increased (or stable) satisfaction in all transport-related categories except one, the prioritization of public transport vehicles on city roads. Graphic via IRBEM 2015. At 4.1 out of 10, overall satisfaction with the quality of transport in São Paulo is still low, but at its highest since 2011. Graphic via IRBEM 2015. To learn more about the shifting perceptions of quality of life in São Paulo – including assessments of the mayor’s office, city police, judiciary system, and public services – check out the full 2015 IRBEM results here.